The VM-4HC is a distribution amplifier for HDMI signals. It reclocks and equalizes the signal and distributes it to four identical outputs. I-EDIDPro Kramer Intelligent EDID Processing - Intelligent EDID handling & processing algorithm ensures Plug and Play operation for HDMI systems. 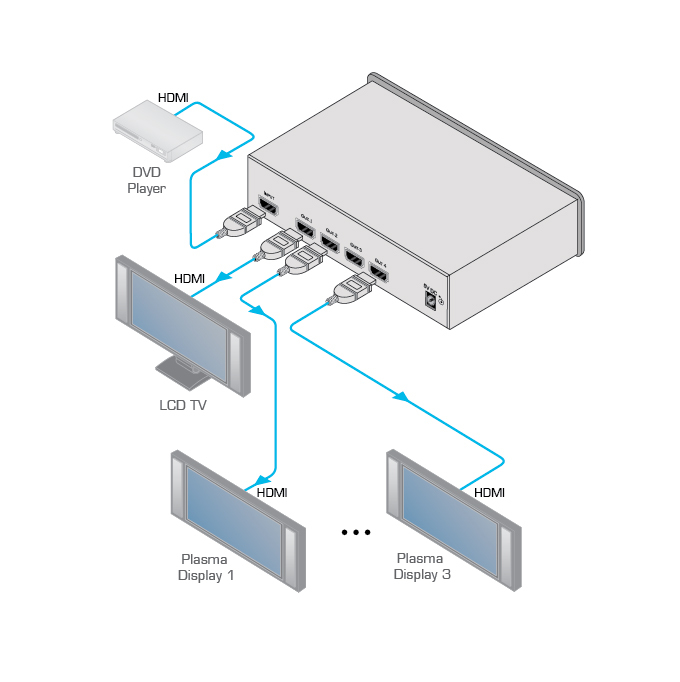 HDMI Support - Deep Color, x.v.Color, up to 7.1 Uncompressed Audio Channels.